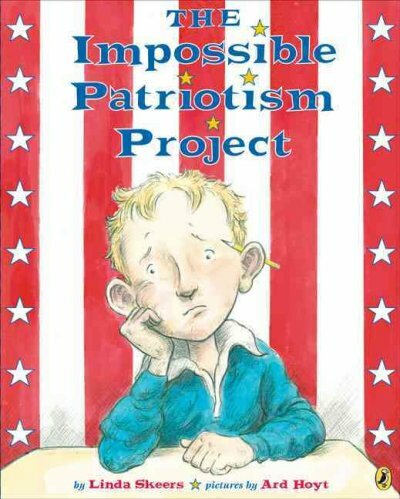 The Impossible Patriotism Project (2007), written by my friend Linda Skeers and illustrated by Ard Hoyt, is a rare gem of a story. 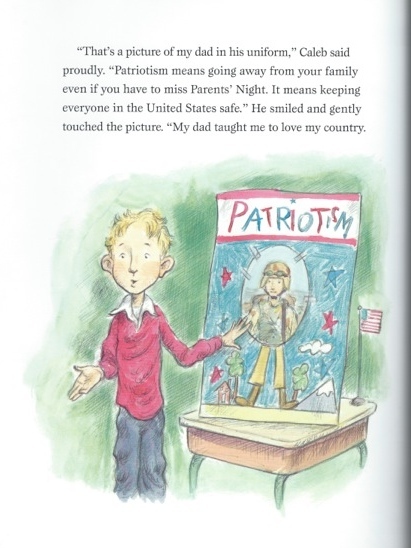 Patriotism wasn’t something you could draw, like a tree or a spaceship or a crocodile. He was good at drawing crocodiles. 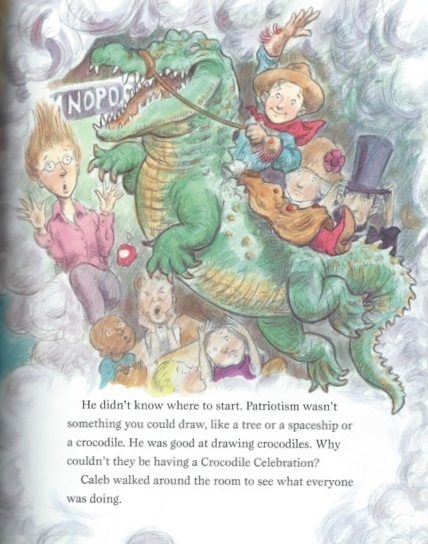 Why couldn’t they be having a Crocodile Celebration? Fireworks? Sparklers? Caleb groaned. Maybe he could tell Mrs. Perkins he would be sick on Parents’ Night. He was coming down with a cold. Or a broken leg. 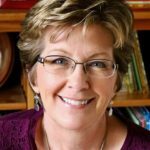 Linda sprinkles these little giggles throughout the story. Later, still worrying, Caleb is in his room at home, wishing his dad were there to help him with his project. 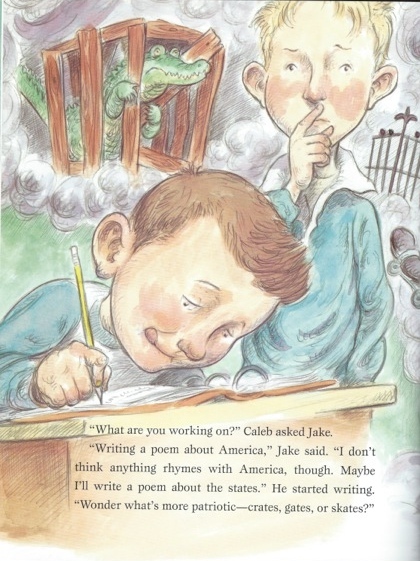 “He would know that patriotism is more than a map or a statue.” That’s when Caleb figures out what to do. And then, when you’re already softened up and feeling a little mushy … the whammy. If you’ve never seen this one, make sure you find it. It’s one of my own personal mentor texts, inspiring me to make my work richer and deeper and more touching. I can dream. So are there books that yank you back and forth between laughter and tears? Tell me about them. 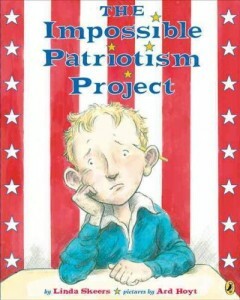 Ard Hoyt, Jill Esbaum, Linda Skeers, The Impossible Patriotism Project. Bookmark. I cry way too easily, so there are probably more than there should be LOL – though I am not thinking of one at the moment. But this one looks like a gem. Requesting it from my library! Thanks! Great! You’ll love it, Joanne. This does sound like a rare gem, Jill. Another one for the library list . . .
Ha. Mine is sooooo long … and always growing. Fantastic! I want to study this one, Jill, thank you. And I love the illustrations, too! This does sound wonderful. I’m looking forward to reading it! Thanks, Jill. You’re welcome. It really is fantastic. I just put this title on my library list. Thank you! Ok, now you’ve made me laugh then cry. I was enjoying the beautiful illustrations and snippets and then as I continued down I thought: Oh I know where this is going and…yep by the time the pic of the Dad arrived I was crying. Another title for my (very long!) library list! Thanks for sharing this one. Yeah. And wait till you see how it ends, Rebecca. Ooh, I must read this book about Caleb and his Dad. Using this book as your mentor text is an excellent idea as you create rich, deeper texts. Dream on. Thanks for this review. I live in a military town. I looked and it’s in the public library catalog here. Gotta read it! Thanks again! I wish every military family had a copy of their own. Thanks for sharing this book…I was not aware of it. A definite must for every library and every military home. God bless our troops! Oh, that looks like a lovely book! One picture book that makes me laugh AND get teary-eyed is MARS NEEDS MOMS. It’s a gem! I’ve heard that title but never read it. Going on my list! Thanks for telling me about this book. I hadn’t seen it but will check it out. This book will become a classic. All generations will fall in love with it. I do consider it a modern classic, Kathy. Wish everybody was familiar with it. Thank you, Jill! 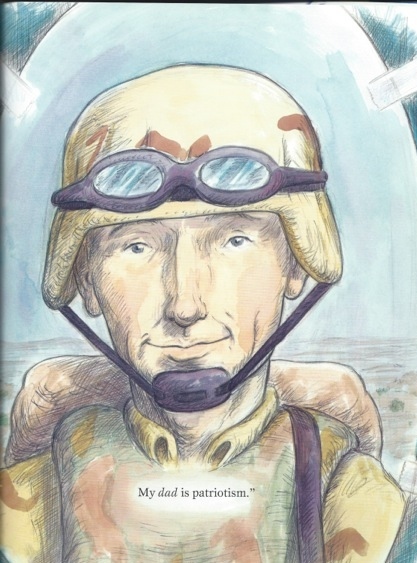 I grew up in a military family, and I have no doubt this book will be a “mentor” for me too. One more “hold” book for my local library! Oh, you’ll love this one, then, Anne. There is nothing better than getting a reader to choke up a little. 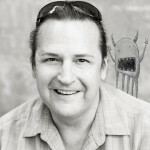 And if you can do it with humor at the same time, well….It is something I’m determined to do someday. Thanks for this recommendation Jill! I look forward to finding this book. That is a touching ending. Choked up a bit myself. OMG, that one line: “My dad is patriotism” made me cry! I KNOW! In just four little words. Amazing. Excited to get this. I remember Linda talking about it this summer. Hi Sandie! Yes, all is well here. Thanks for reading. i checked this one out from our library two years ago, and i still remember it fondly. thanks for a touching story of gratitude about our armed forces, linda!